One of the greatest summer jobs is that of a lifeguard giving you timeless options of making friends and enjoying fresh air and water. Whether it is adopted as fun or serious occupation, you must be serious about saving public lives. You have to stay in shape and face continuous scorching sun heat which requires enough stamina and hard work. Because lifeguards are entitled with great level of responsibility and duty, they must qualify the certification and undergo immense training for getting prepared for emergency situations. You can find countless opportunities through which the lifeguard clubs and academies provide education and skill training at cost or free of cost. The lifeguard duty is to guide the beach-goers deal with the rip currents and avoid panic in case of dangerous aquatic environment. The lack of education and inexperience can take people to the death risk in any ocean or beach setting. The foremost decision is about the type and level of certification you want to achieve. You can sign up your registration with particular institute through email or website. Basic certification for lifeguard requires you to pass the first aid and CPR and AED certifications through scheduled coursework and tests. Their certification courses also include proper use of swimming attire and floatation devices for protecting the swimmers and beach goers. The lifeguards ensure public safety by identifying safe swimming spots and supervising their swimming activities. The lifeguard classes and courses require you to pass initial swimming test for moving forward. The class sessions may have the schedule of six weeks but can be more or less depending on the institute requirements. For getting your certification successfully you have to pay attention to all the guidelines and tasks they demand from you. Daily swimming will kill the two birds by one stones as it will not only strengthen your muscles but also help you to understand the aquatic hazards. You join the classes and training sessions but if you do not focus on continuous practice, you cannot pay your utmost attention. You should read the textbooks and materials from internet to extend your knowledge as much as possible. The lifeguard training exercises must also be done regularly to build your muscles. This includes running, swimming, weight lifting and rowing. You diet control and lifestyle routine will also be changed accordingly. Every certification calls for final exam and training sessions require both written and practical tests of various aspects of a lifeguard. These test and examinations ensure that you remember the concepts and are able to meet the criterion of useful life guarding tasks. Doing CPR and AED on dummies, brick beating tests and rescuing a life in conditional or unconditional environment are the few of them. After passing the tests, you are awarded with the lifeguard certification from registered institute. 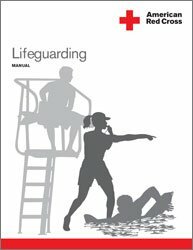 Being high in demand for increased salary and aquatic rescue, the lifeguards can be easily hired in pools, camps, water parks and beaches.